We do not like to talk about death. It is difficult to confront the possibility of ours or of those we love. 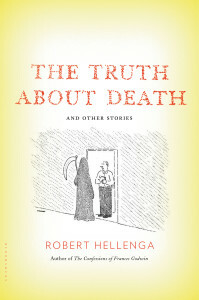 In The Truth About Death, Hellenga brings wit, wisdom, and unforgettable characters to a novella and 8 short stories that illustrate how the living interact with death, including raucous grief, silence, denial, or humor and sometimes all of these. These stories — all but the novella have been published previously— find Robert Hellenga on familiar geographical and psychological ground. The primary settings of the stories are the Midwest, usually around Galesburg, Illinois, and in Italy, most often in Rome. 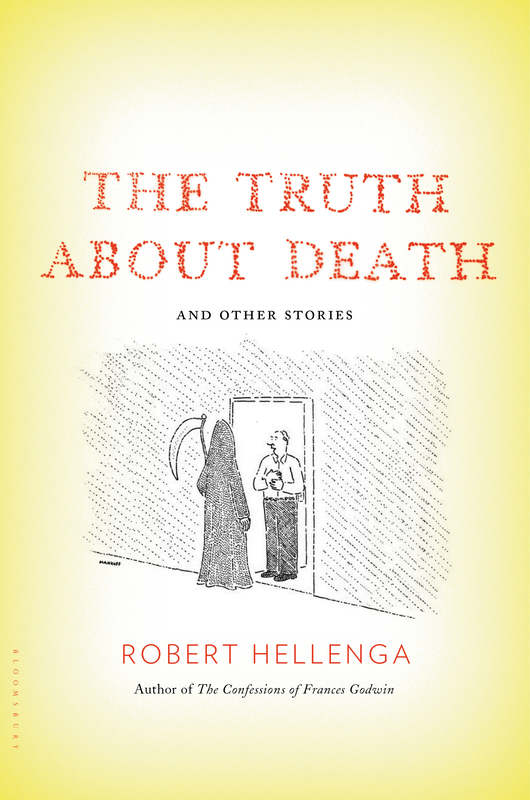 Through humor and empathy, Hellenga reminds us of the one thing we always seem to forget when confronted by the prospect of death. Death is a natural part of life, a reminder to seize the best we can from the time given to us whether we are of a religious bent or not. The novella that names this collection features Simon, an undertaker who must prepare his father for burial while contemplating his own death. His daughter Hildi, who is divorcing and has returned home, is his assistant. “And like Hermes, the Greek god of transitions and boundaries, Simon kept on conducting the souls of the dead from this world to the next.” Death, grief, life, love, and happiness illuminate the incongruities of death and humor. Life is complex and families are complex living organizations. Hildi wonders if there can be a funeral that tells the truth about death, a funeral that avoids clichés and pictures of sunrise and sunset and, surely, poems about crossing the bar. In short, can there be a funeral that celebrates? “Pockets of Silence” is a very short story that was published originally in the Chicago Tribune and later incorporated into The Sixteen Pleasures. It is a poignant reminder to share our feelings with those we love. Mama is dying and wants to leave taped messages for her family. Her husband goes to great lengths to prepare a recording system for her. Three years after her death the family finally gathers to listen to the tapes and are very surprised. The characters in “For Sale” are familiar, having Midwestern roots. Someone has a secret tied to an affair, and there is a connection to Italy. Once again, Hellenga has mined that set of elements and presented them in a new and fresh way. It is time to consider selling one’s home and moving to a retirement community. How do the adult children react when they come home for Christmas and find a for sale sign in front of the home where all their childhood memories are stored? Perhaps ultimately, there is no one best way to confront the issue. Hellenga provides one approach. “Not that we can ever ‘explain’ death. Not any more than we can explain beauty or love or sorrow. But at least we can talk it over…” That may be the most important message, the most important truth among the stories. Preparedness before and eventual acceptance afterwards can be gained through talking. Hellenga is the acclaimed author of The Sixteen Pleasures, The Italian Lover, and The Confessions of Frances Godwin. A professor at Knox College in Galesburg, IL, he continues to make his home there.